1. 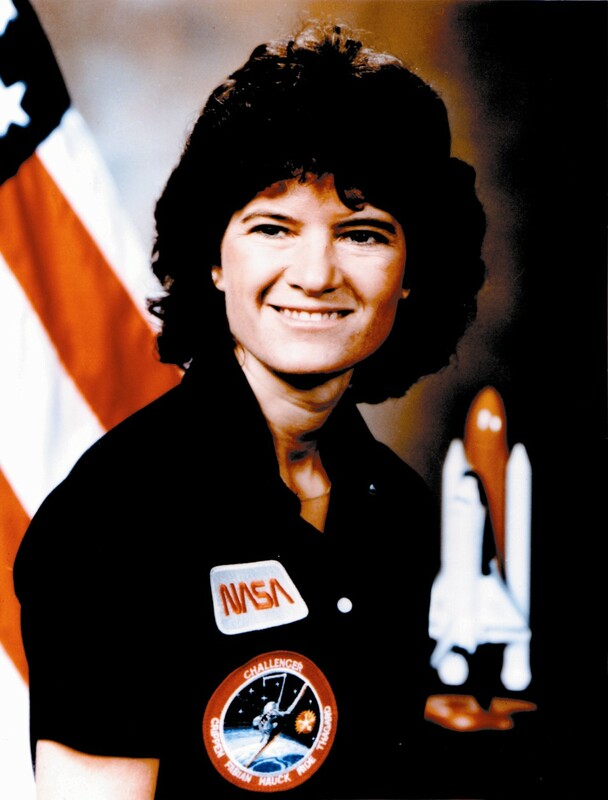 Sally Ride‘s obituary is not a political statement it is a statement of fact. She is survived by her partner of 27 years, Tam O’Shaughnessey. The fact that she lived her life committed to the woman she loved does not make her any less of a pioneer, scientist, explorer, astronaut or champion of women in science. When she was alive she kept her private life private, perhaps because she knew it might make her uphill climb steeper or perhaps because she wanted to be judged by her accomplishments and character and not by her sexuality. I guarantee you Ms. O’Shaughnessey’s pain isn’t any less because her partner was a woman. I hope you will join me in praying for peace and comfort for her as well as the rest of the Ride family. 2. The current rules do not allow for Ms. Ride’s benefits to be extended to her surviving partner. That is currently the way it is. If you do not like it, work to change it. 3. Chick-fil-a has expressed their beliefs about many things of late including marriage equality. You may like what they said and continue to eat there. You may dislike what they have said and discontinue eating there. You may also dislike what they say and decide you are going to eat there anyway. That is the beauty of America. They have freedom of speech and you have the freedom to spend your money where you wish. I find it troublesome that people have a problem with people choosing not to eat there. If you told me my marriage was the reason God was going to send judgement on America I probably wouldn’t buy your Chicken sandwiches either. 4. This week military members were allowed to march in Pride Parades in uniform for the first time. Their presence there should remind us that many gay and lesbian service members have served and sacrificed to bring liberty and protect freedom around the world. They deserve our thanks and admiration. Period. 5. Today Justin Lee of the Gay Christian Network wrote an eye opening blog about the term “gay lifestyle“. You should read it. I for one will endeavor to choose my words more wisely. There was one comment about the article I thought communicated very well. Roger Smith Here’s a lil example I like to give people who talk “gay lifestyle”: so what’s a “straight lifestyle”? Billy Graham, and … oh, let’s say Hugh Hefner. Same orientation? Yep. Same lifestyle? Um … not exactly. Well, there you go my lovelies, that is all I have to say about that. Not a big deal to me and I do not consider her being gay makes a difference. Sally Ride continues to be one of the greatest Americans in history. First woman in space. No one can take away from her that honor. RIP Sally Ride. 1) I wish more people would listen to Justin Lee. He makes such good points. 2) I have always thought that people should be able to extend benefits to anyone they wish to take responsibility for. Obviously, there should be a system to make sure there are no abuses, but if you want your benefits to go to someone that has lived with you for decades, that should be legal. And not just with gay issues… what if you are the only family member who can take care of a distant cousin? Even some family members get cut off in our current rigid system, and in today’s society, family connections are all over the place. Wonderful publish, very informative. I ponder why the opposite specialists of this sector don’t understand this. You should proceed your writing. I am confident, you have a huge readers’ base already!|What’s Taking place i’m new to this, I stumbled upon this I’ve found It positively helpful and it has helped me out loads. I hope to give a contribution & aid different customers like its helped me. Great job. A person necessarily assist to make significantly articles I might state. That is the very first time I frequented your web page and so far? I amazed with the research you made to create this particular put up incredible. Great job!